Laurent-Perrier has changed the style and blend of its core mainstream non-vintage champagne renaming it La Cuvée. The new wine, which will initially be based on the high quality 2012 harvest, will have more Chardonnay in it, and according to UK managing direct David Hesketh MW has a different flavour profile. Tasted side by side with the old Brut NV “there’s a clear difference between the two” he says. Already the major house with the largest proportion of Chardonnay in its Brut non-vintage style, in the new release the proportion moves from 50 to 55% with Pinot Noir remaining at 35% while the amount of Meunier falls to 10%. It will also get at least an extra year on its lees with the minimum ageing increased from three to four years. 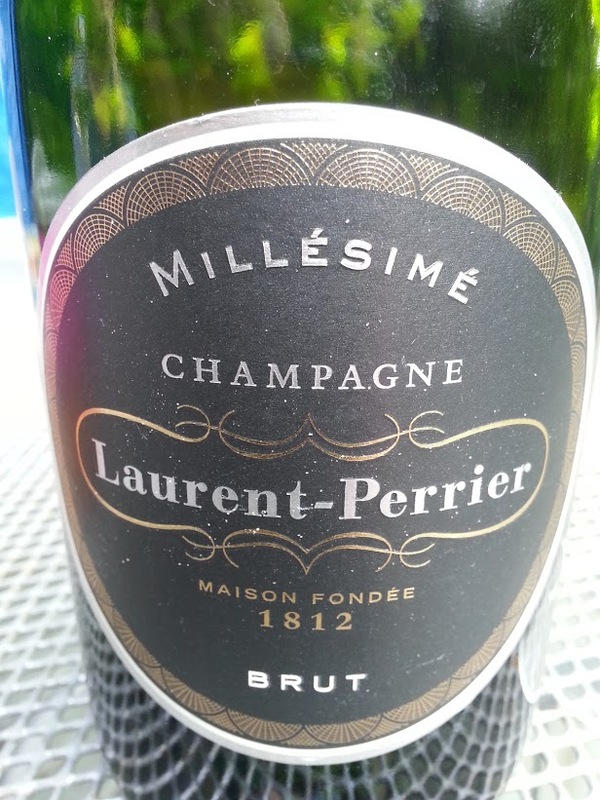 In line with long term trends in Champagne the dosage level also falls from 10 to 9gm/l while the proportion of reserve wine increases with up to 30% in the new blend. The wine has the new round label also sported by the just released 2007 Brut vintage (see picture). Hesketh says the Chardonnay dominant style of the non-vintage has evolved since he started at the company when it accounted for 45% of the blend, still high compared with other large houses few of whom are above 40% (Taittinger Brut Réserve NV is at this level). 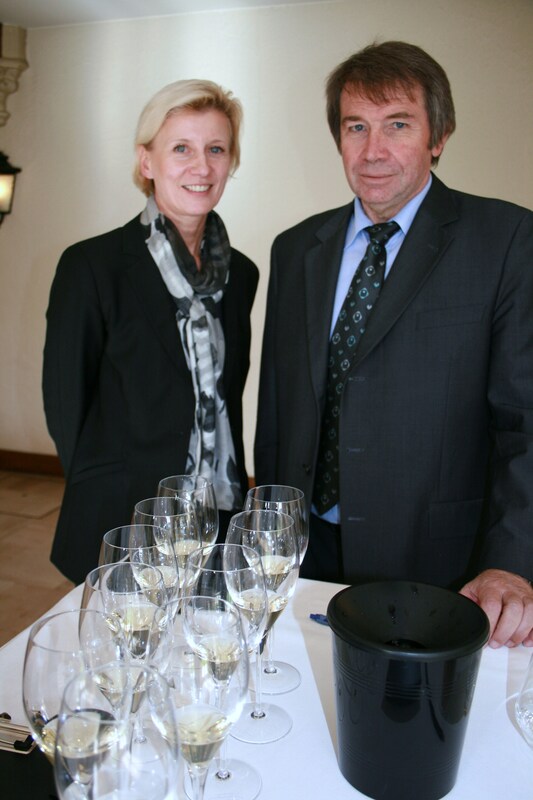 “Michel Fauconnier our winemaker saw the opportunity of improving the blend as a result of the purchase of Champagne Malakoff and its vineyards back in 2004, which has given him access to more high-quality Chardonnay. The number of crus used in the assemblage nearly doubles to around 100. The new Laurent-Perrier La Cuvée is gradually going into wider distribution currently and is already stocked by Majestic who have it priced at £41.99 a bottle but with a Mix Six price of £27.99 currently. Interestingly the last blend of Laurent-Perrier Brut is based on the 2010 harvest as they didn’t make any Brut non-vintage based on 2011. Those attending my tutored tasting at the WSET this coming Tuesday (6 June) will be able to taste that 2010 blend.